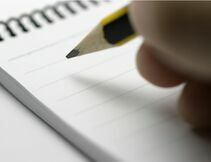 We then choose the best writer for the job from our platform of industry-vett‍‍‍ed writers and world-class journalists . We deliver the content in due form on time for review and feedback. With a‍‍‍dditonal amendment the job is done. We are on a mission to provide the best write-up possible for your content. Choosing the right wording, forming the best sentences delivering a text that makes sense and clarity with elegance and style. We will provide high quality content in multiple languages and translation services from a selection of skilled wordsmiths. We will make your message more clear and more efficient so as to consistently keep your buyers and customers engaged . Ashrafieh, Adib Ishac str - Hajjar Bldg.